One of the main goals the broad group of signees [ABOUT US] wants the tribunal to achieve is establishing “ecocide” as a crime. “Recognizing ecocide as a crime is the only way to guarantee the right of humans to a healthy environment and the right of nature to be protected,” The International Monsanto Tribunal says on its website. Monsanto's Ecocide-related tribunal to be held in The Hague, Netherlands, from 12th to 16th October 2016. “Monsanto’s history reads like a text-book case of impunity, benefiting transnational corporations and their executives, whose activities contribute to climate and biosphere crises and threaten the safety of the planet,” Leu stressed. The American-based company has enjoyed a good reputation in the US media and is known for its strong ties on Capitol Hill. The Monsanto Tribunal argues that the company is responsible for the depletion of soil and water resources, species extinction, and declining biodiversity, as well as the displacement of millions of small farmers worldwide. Farmers in certain countries have been taking these developments very hard. In India, an alarming wave of suicides tied to Monsanto’s practices has been registered among farmers. Instead of traditional crops, farmers have been forced to grow GM cotton, which is more expensive and requires additional maintenance. In the last 20 years, this trend has driven some 290,000 farmers to commit suicide due to bankruptcy, according to India’s national crimes bureau records. Subjecting Monsanto to real legal consequences will be a challenge, though, as the corporation has never lost a case. The company is notorious for routinely suing farmers, which has earned it the reputation of a legal bully in the eyes of critics. According to Food Democracy Now, the GMO corporation has filed 145 lawsuits since 1997, because farmers had reused their seeds in a manner inconsistent with Monsanto policies. This even includes cases where the farmers themselves had sued Monsanto for the inadvertent cross-pollination of their organic crops with GMO seeds. Untold damage has also been caused to the ecosphere by the dying-off of 970 million Monarch butterflies since 1990. The herbicides Monsanto sells eradicate a range of the prolific pollinators’ natural food sources. The statistic was released by the US Fish and Wildlife Service in February. People demonstrated in over 400 major cities across the world in May to tell the GMO giant they do not want its produce in their food. 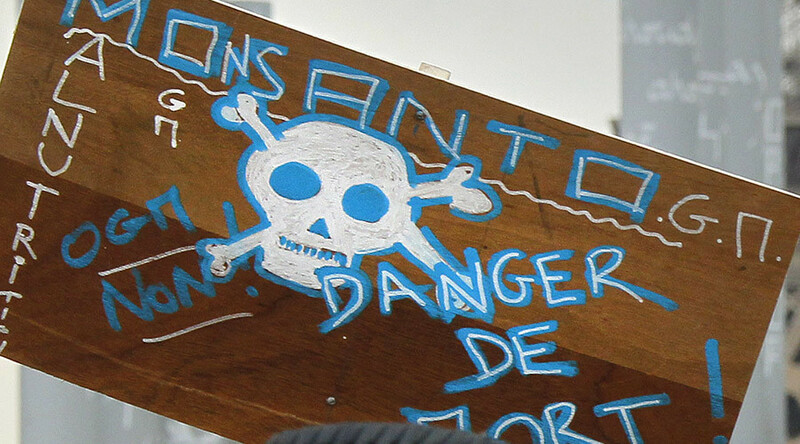 It was the third global March Against Monsanto (MAM).